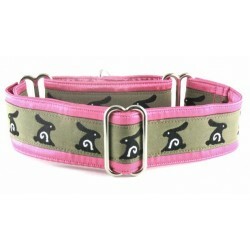 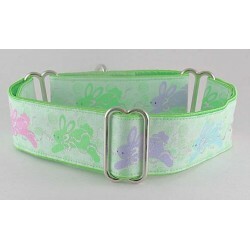 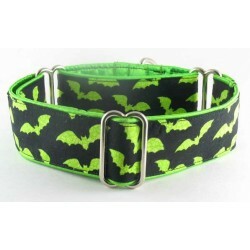 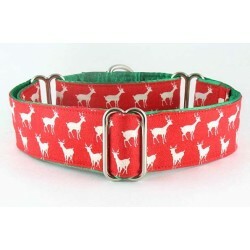 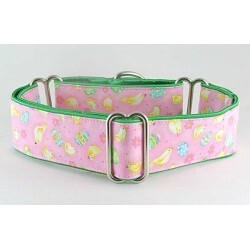 Dog collars decorated with Animal Prints or designs inspired by animals, insects, reptiles and other living creatures. 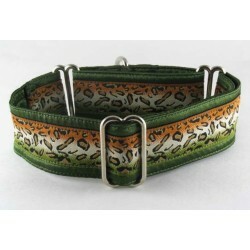 Animal Prints There are 46 products. 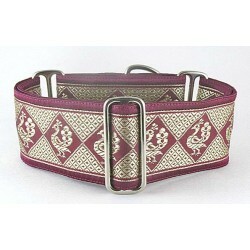 Chanticleer martingale or traditional snap-buckle dog collar embellished with stylized, golden strutting peacocks. 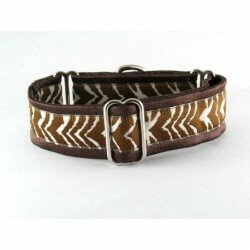 Chocolate Zebra martingale or snap-relase buckle dog collar complete with a snazzy zebra print trim in brown and white. 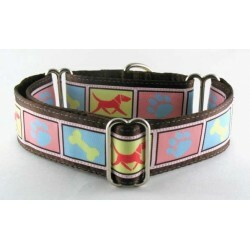 Coffee Bean Cheetah martingale or snap-relase buckle dog collar wearing an chic safari trim in warm earth tones. 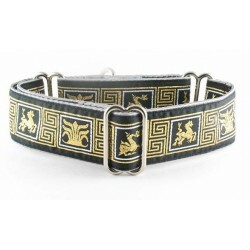 Daelin's Dragons martingale or snap-buckle dog collar featuring a golden interpretation of the fire-breathing mythological beastie. 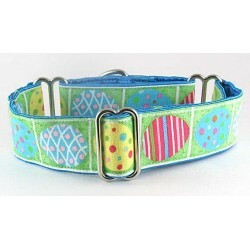 Dragon Crest martingale or snap-buckle dog collar. 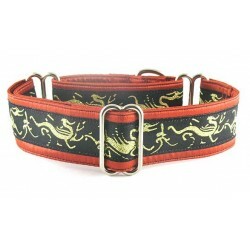 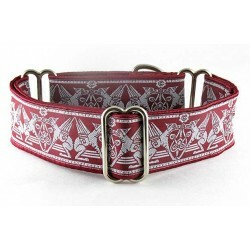 The horse, lotus blossom and dragon are all contained on this Asian inspired hound collar. 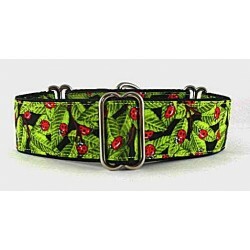 Forest Cat martingale or snap-buckle dog collar complete with a wild cat design in earthy shades of green, rust black and beige. 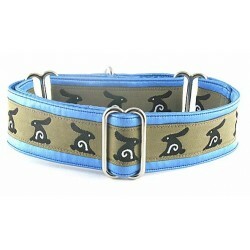 Frogs on Denim martingale or snap-relase buckle dog collar wrapped in denim and topped off with a frog jacquard trim. 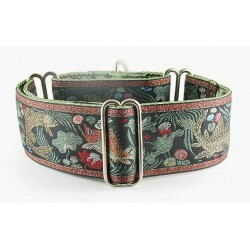 Koi Dreams martingale or snap-buckle dog collar dressed with a lovely aquatic fish design in muted shades of green, gold and crimson. 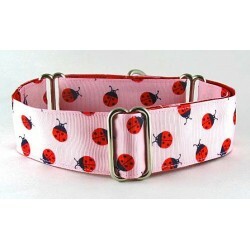 Lady Bugs on a Pink Tablecloth martingale or snap-buckle dog collar displaying red lady bugs meandering on a pink background. 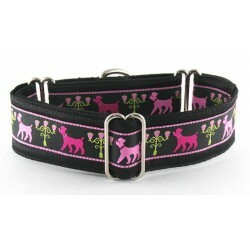 Parisian Poodles martingale or snap-relase buckle dog collar displaying pink poodles with black accents. 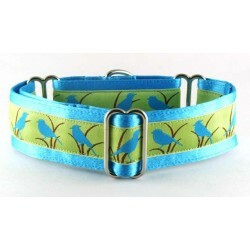 strolling the boulevard.